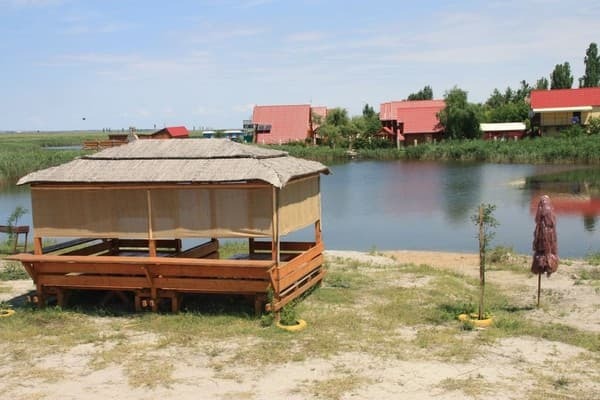 The Blue Lagoon recreation center is located in a large area in the park zone, just a 3-minute walk from its own paid beach "Bora Bora" with comfortable sun loungers, chillouts and individual tables. The hotel has three buildings with 47 rooms. Housing "Budget class" offers rooms equipped with two single beds, fans. For those residing in this building there is an opportunity to use the shared kitchen and common bathroom in the courtyard. Housing "Economy Class" consists of rooms equipped with two single beds, air conditioning (fans). Some rooms have a refrigerator. On each floor of the building there are bathrooms. In the lobby there is a large plasma TV (satellite TV) and free Wi-Fi access. The building "Premium class" offers tourists rooms of original planning with individual balconies-terraces. Each room is equipped with a refrigerator, satellite TV, air conditioning, individual bathroom. 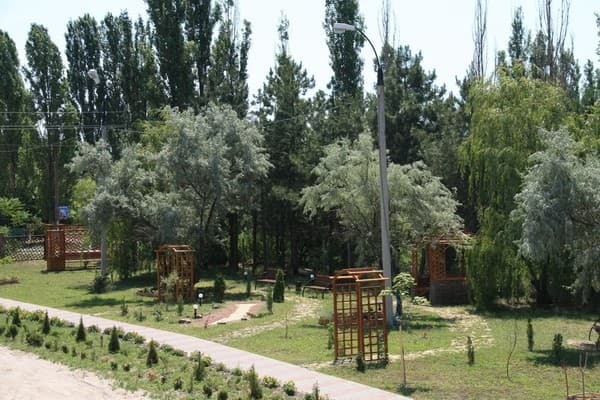 On the territory of the recreation center "Blue Lagoon" there is a guarded parking lot, gazebos, benches, a lake with beach umbrellas, barbecues, a children's playground with swings, a sandbox. There is also a kitchen for self-catering. 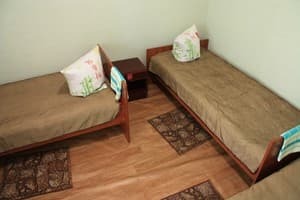 Description of the room: Single rooms are equipped with two single beds. There is a possibility to use the shared kitchen and common bathroom in the courtyard. Description of the room: The rooms of the original layout with individual balconies-terraces, double bed, wardrobe, bedside tables. There are rooms with an extra bed in the form of a folding sofa. 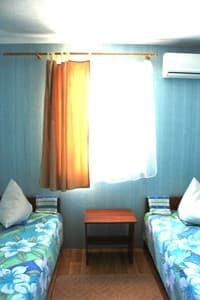 Description of the room: Single rooms are equipped with two single beds, air conditioning / fans. Some rooms have a refrigerator. On each floor of the building, where there are rooms of this category, there are two showers and toilets. Children under 7 years without a seat are accommodated free of charge. On the territory of the recreation center there is a kitchen for self-cooking. It is possible to provide meals with a 15% discount for the guests of the recreation center in the café "Brasil", located 50 meters from the recreation center. 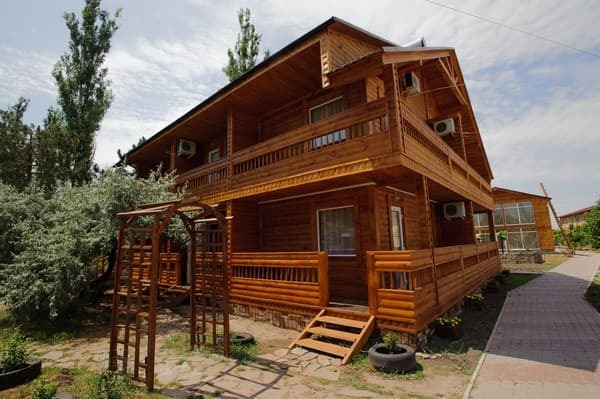 The recreation center is located in the resort recreation area of ​​Koblevo. The distance to Nikolaev is 80 km, Odessa is 60 km. 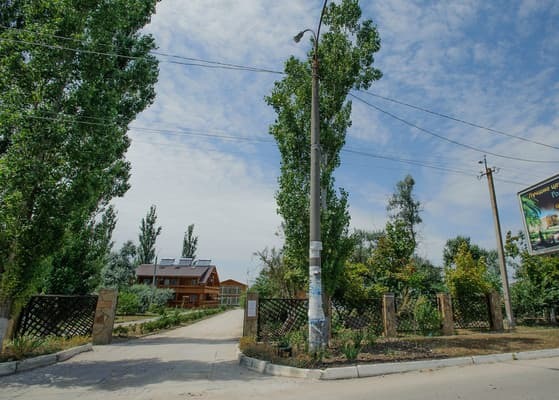 From Odessa: a) from the suburban bus station "Privoz" (500 m from the railway station), the Odessa-Koblevo bus (directly to the resort area); B) from the intercity bus station by any shuttle bus going to Nikolaevsky direction. 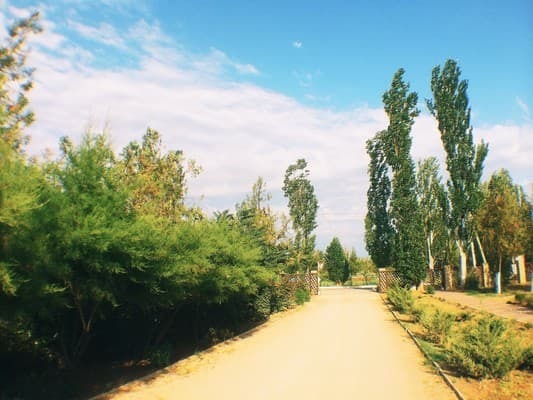 From Nikolaev: from Nikolaev intercity bus station by bus, heading towards Odessa or a direct flight Nikolaev-Koblevo, directly to the resort area from the railway station, you can get to the bus station of Nikolaev from the station square using a fixed-route taxi No. 8, 21, 88, 51 or a trolleybus No.2.